Nvidia is having a high definition ball at IFA 2009, celebrating the launch of both the world's first Nvidia Ion powered netbook alongside a new Nvidia Tegra powered personal media player. 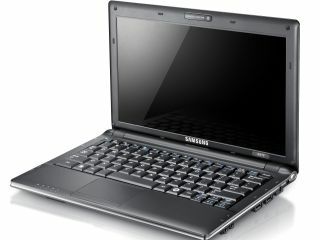 TechRadar will be bringing you our full hands-on reviews with Samsung's shiny new N510 netbook shortly, in addition to our thoughts on Sammy's new M1 portable media player. "The wait is over," reads Nvidia's IFA 09 press release. "Consumers can now have a netbook with the same capabilities as full-size systems with the new Samsung N510 featuring the critically acclaimed NVIDIA ION graphics processor." Nvidia's latest graphics processing unit (GPU) apparently "works together with a low-power CPU to deliver an amazing graphics experience for compact, energy-efficient systems" and offers "many of the same capabilities as full-sized notebooks including full support for Windows 7." Nvidia is claiming an impressive TEN TIMES faster graphics performance than typical netbooks, which gives the Samsung N510 "horsepower to support all Windows versions, flawless HD video including 1080p, and many popular PC games." For gamers, in particular, the possibility of playing proper 3D PC games on-the-go on a netbook is pretty exciting. Although, we'll contain our own excitement at the prospect until we have had a good opportunity to test it out on the train home. As for the new Samsung M1 portable media player which Samsung announced will be available late September 2009, Nvidia's Tegra chip allows for a Flash-based 3D user interface and smooth-flowing "720p HD video playback on its Active Matrix Organic Light Emitting (AMOLED) display, wireless mobile games in amazing 2D/3D graphics and advanced audio functionality."